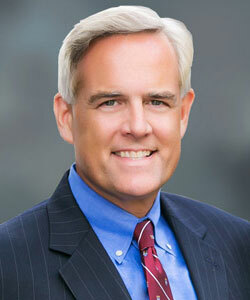 Principal Partner, Matsen Voorhees Mintz LLP, and President Family Office Services. National lecturer, trainer, and author. 36 years of experience providing wealth, estate, and charitable planning for multi-million dollar estates through national wealth planning organizations and financial service companies. Since entering the financial planning profession in 1978, Tim has developed broad experience in estate planning and portfolio planning. During the 1980s, he consulted with a variety of leading investment firms to help develop investment policy statements and conducted asset allocation seminars with professors from leading graduate financial programs. From 1990 until the present, he has focused on zero tax and charitable planning issues of concern to individuals with estates of $5 million or larger. While serving as President of Family Office Services and Managing Partner of its affiliated law firm, Tim has helped advisers plan hundreds of cases for high net worth individuals. Tim regularly conducts half-day “Best Practices” and “Best Tools” training sessions for attorneys, CPAs, and other advisers. During this 30-minute phone conversation, we can help you discern the opportunity of greatest value for your big case. We help top planners attract and retain more ideal financial and estate planning clients by helping them deliver transformational experiences to their clients. We are a virtual on-demand advanced back office. Since 1996 we’ve been involved in more than 500 client situations with net worths from $10 million to over $300 million.